There is a lot to love about summer: Time by the pool, BBQs, baseball and the sound of cicadas. In fact, the only thing I don’t love about summer is mowing the lawn. However, the lawn has to be mowed so I might as well have a proverbial lawnmower beer to drink as I work. I decided to create a line up of summer beers that might fit the bill and at least take some of the pain out of my yard work. There were a few rules for my Top Ten Summer Beers list. It had to be a seasonal beer, one created just for summer time. It had to have summer in the name, or at least a summer themed name. I preferred session beers for this experiment, but I wasn’t too rigid in this rule. I avoided fruit flavored beers. I’m generally not a fan of fruity flavors in my beer so I didn’t want to beat up on them unnecessarily. That said there are some good fruit beers out that that fit the criteria above. 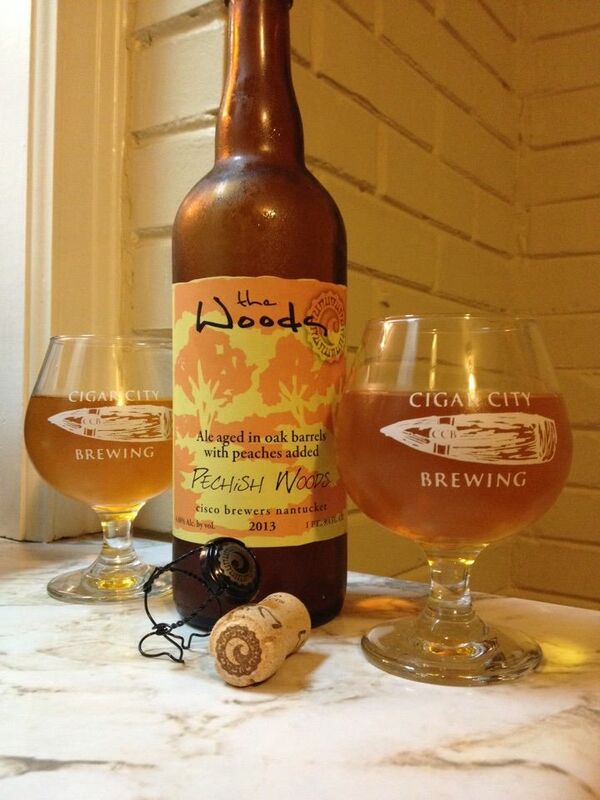 Two examples that come to mind are Dogfish Head’s Aprihop and R. J. Rocker’s Son of a Peach. 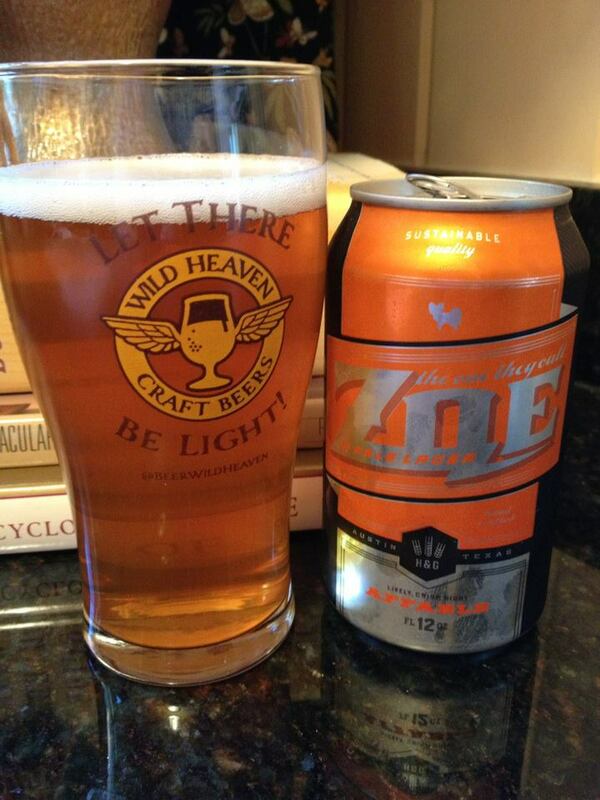 Additionally, they needed to be light and crisp, no overwhelming malt or hops flavors. I have always preferred good rich dark beers, but that’s not what I want on 100 degree Savannah days. Price and accessibility were also factors. No one wants to find a great session beer only to have one bottle, that’s not the point. Here is my run down of my top ten. Enjoy and have a great summer filled with good craft beer. Oh and let me know if there is something out there I’m missing. 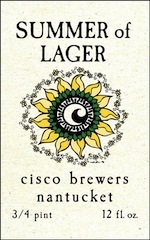 I had to have a lager in this mix and having never had a Cisco beer before I thought I’d give them a shot. Lagers certainly make sense with a summer beer. That is what all the big boys brew right? Maybe that idea tainted me a little too much because I did find this to be heavier on the hops than I expected. Still this was a nice crisp lager with a nice citrus finish, the brighter side to the hops. I’m a big fan of Southern Tires darker beers so I made sure that Hop Sun was on my purchase list. As the name suggested there is a good bit of hops in here. This is one that breaks my strong flavor rule, well it bends it, as there is a good bit of hops, more than any on my list. There is a good bit of floral note in the flavor but they are reflected in the nose so you expect them before the first sip. A fine choice especially if you like hoppier summer beers. Peak Brewing’s entry into the summer beer market is a good one. Again more hops that I expected but the citrus really comes through. I’ve complained about hops a lot on this list. I have enjoyed the citrusy beers but that does come from the hops and the bitter helps balance that citrus out. Anyway this was a solid summer beer. 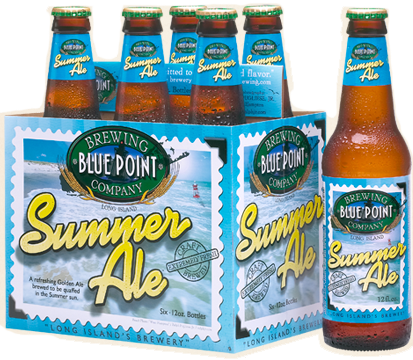 Blue Point’s Summer Ale is an easy to drink beer. There wasn’t anything outstanding about the flavor of this beer but if you are looking for something on the milder range of summer beers, something that won’t knock your socks off but will still be refreshing, this would be a good choice. There was a beer snob part of me that was suspicious of Narragansett Summer Ale. I’m not sure why, I had not had any of their beers previously. It may have had something to do with the can. I still have an aversion to canned beer. It’s undeserved but it’s there. That said I overcame this snobbery and thoroughly enjoyed this beer. Nothing special about this beer but the only beef I had was a slight bitterness at the end of each sip. Otherwise this was a solid entry in the summer beer field. I had high hopes for Flying Fish’s Farmhouse summer ale. The idea of a farmhouse ale for summer drinking was very appealing. This beer didn’t disappoint as a good drinking beer. There was more hop flavor than I, personally, was looking for. That said the extra flavor was not a put off and was mild enough that I would absolutely drink this if offered up. It’s a very good beer. Summer Solstice really surprised me. I was not expecting a cream ale when I opened this one up. My take on cream ales is that I either like them a lot or not at all. Some cream ales come across too sweet and syrupy. This was not the case in Summer Solstice. This is a sweet beer but it doesn’t cross over into the syrupy side. It’s very drinkable, though I’m not sure I would want more then two or three at a time. 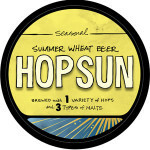 Anchor beers often have the west coast hops that they are so popular for. I was a little worried that this would be the case in their Summer Ale as this is not what I was looking for. 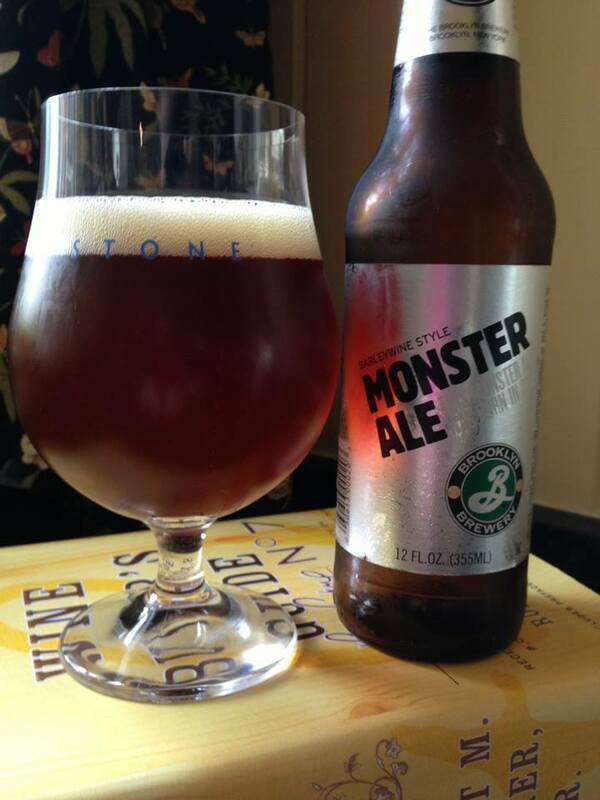 Fortunately the hops are downplayed here and this turned out to be a great summer beer. Anchor calls this an all malt beer and is brewed with 50%malted wheat. They pour with a big head, something the brewery attributed to the high protein content of the malted wheat used in brewing. This is a great summer beer, absolutely one I would drink on an everyday basis. 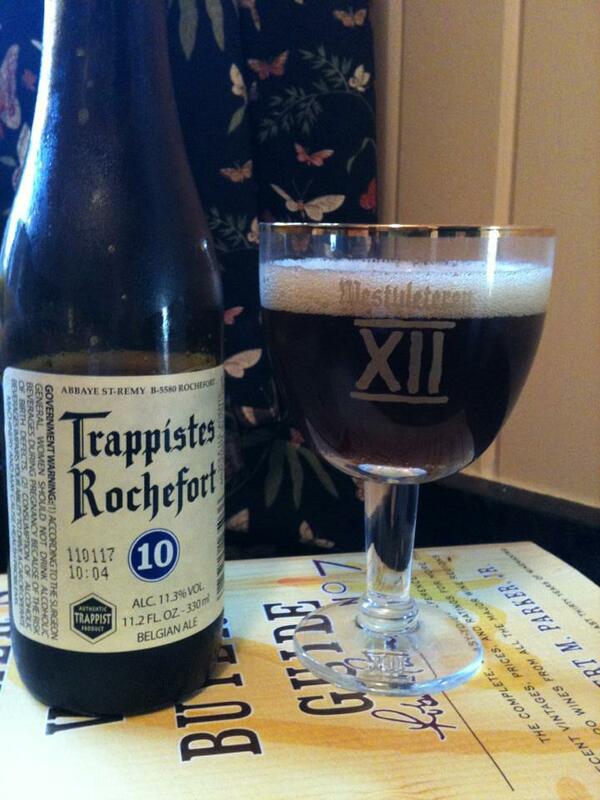 This is another beer with a high malted wheat content. It’s also brewed with Bell’s signature ale yeast yielding Oberon’s citrusy flavor. I’m not one for fruity flavors but the fruit here is subtle and just makes a lot of sense. It pushed the range of a sessionable beer at 5.8% and has a stronger flavor (as well as lacking a summer themed name) than my other top beers. 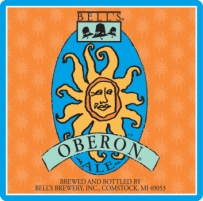 I’ve had Oberon many times and it’s always satisfied. This was by far my favorite in the lot. Brooklyn’s Summer Ale had everything I was looking for. It was light and crisp with no overbearing flavors. That is not to say that this beer has no flavor, it’s has a light citrus flavor but it’s balanced out by a touch of bready yeast. 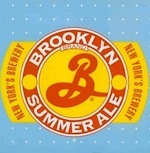 Brooklyn’s Summer Ale is super smooth and easy to drink a perfect pool side or yard working beer. Summer Ale is, in my opinion, the beer for summer. Well, this summer anyway.